We are dealing in verious type of pall rings. For more details please see the pdf file attached. 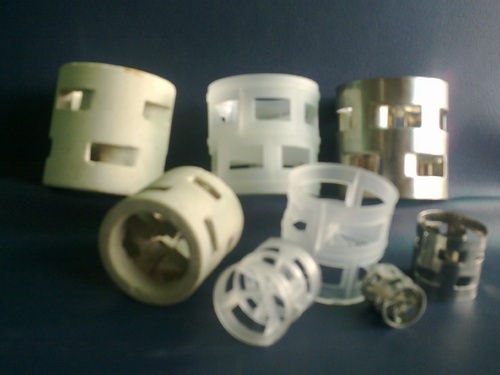 Following an ethical business approach, we are committed to serve the requirements of our clients for plastic tower packing, plastic tower internals, metal tower packing, metal tower internals, ceramic tower packing, ceramic tower internals such as ceramic saddles, raschig rings, pall rings, plastic pall rings, etc. within a stipulated frame of time. Our products are in wide demand due to certain advantages like cost effectiveness, availability in various M.O.C's and thicknesses. In addition to our range of tower packings and tower internals, we also offer our clients technical assistance in selecting suitable type, size of packing.